LAS VEGAS, NV - Looking to go 3-0 in pool play, the Men's Sevens opened Saturday with a strong 28-17 win over Spain to claim the top spot in Pool C. The decibel level inside Sam Boyd Stadium noticeably shot up as the US took the field under flames and red, white and blue smoke. In a a swing day of two games, the crowd energy was a welcome benefit. Top it all off with a tribute to USA legend Zack Test at half, and we are officially under way for USA 7s Saturday. Following a presentation of the Star Spangled Banner, Folau Niua drew first blood with an immediate try before the first minute had finished. Joe Schroeder was close behind with a try of his own, picking up off the ground from Danny Barrett who nearly crossed the line himself. The US continued there 2018 Las Vegas trend with early points and a two try lead before half. Spain's Josh Taylor and Francisco Hernandez broke the shutout as time hit the red. With one final opportunity for the US to add points before half, Maka Unufe did just that with a long pitch-length fast break through the middle defenders. We now head into the half with a 21-12 USA lead. 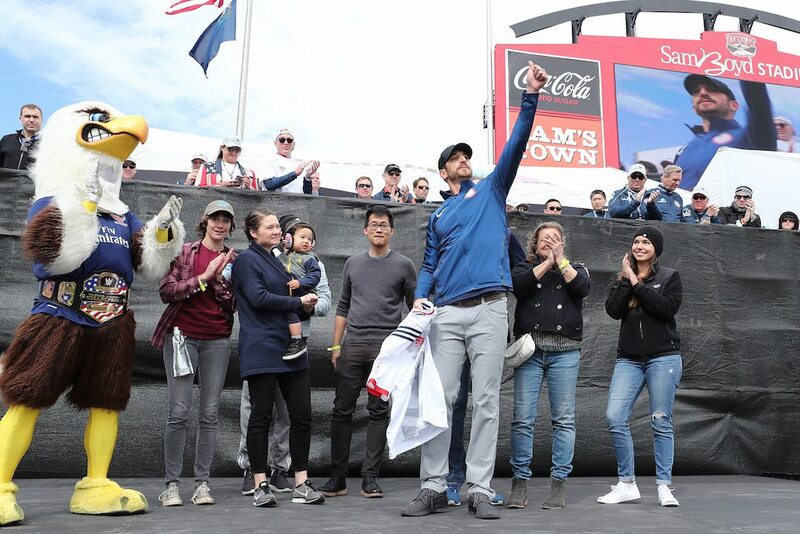 During the break, USA Sevens and USA Rugby presented a special moment as World Rugby Sevens legend, Zack Test, was recognized for a remarkable career. Joined by his family, USA Rugby CEO Dan Payne and Jon Hinkin of USA Sevens, Test watched as a tribute video played and was presented with a commemorative jersey and plaque. Thousands of rugby fans roared as Test waved to the stands. A special moment indeed. Carlin Isles ironed out some second half scrambles with a try up the middle. In classic breakaway fashion, Isles notched his 98th World Rugby Sevens Series tries, quickly approaching the 100 mark. Inaki Villanueva tallied the final score of the match, but with a 28-17 lead, the US punched their ticket to the Cup Quarterfinals, starting this evening at 5:48PM PT. Catch the Men's Eagles Sevens, all tournament, on ESPN3.